At the WISERD conference I talked about what people expect from an inspectorate of education and training in Wales and I outlined the methods that inspectors use to come to professional judgements about standards in education. I also talked about standards in the education system and the challenges that continue to exist. Inspectorates offer public assurance on the performance of the service being inspected, whether it is in education, care or health. Inspectorates should inform government policy on the quality of the service they inspect. They should also build capacity in the workforce and support improvement in the schools and other providers they inspect. It is schools, and other providers, that deliver education. But an inspectorate is a part of the education system, as well as having an influence on it. 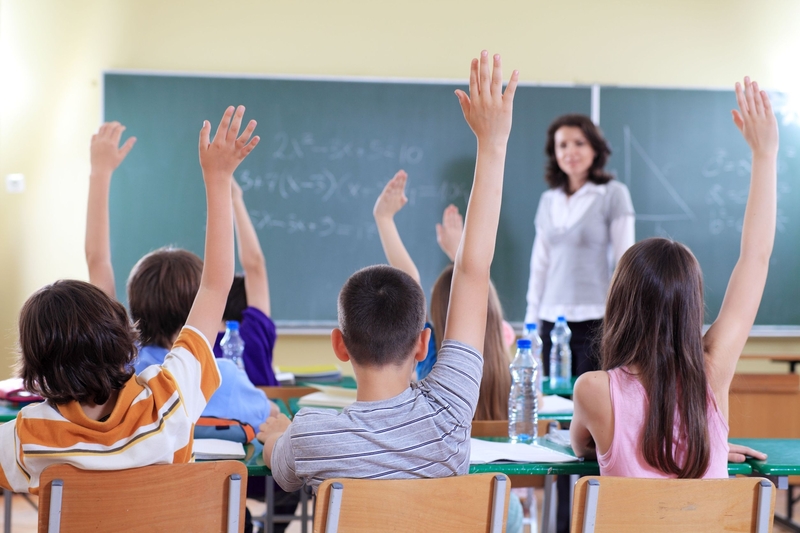 Inspectorates need to be flexible enough to reflect changes to the education system. Learners and teachers have a justifiable expectation that inspection judgements will balance the good against the not-so-good. Inspection should be constructive and proportionate to need. It should reflect truthfully the provider being inspected and it should give the provider something to build on. But above all else, inspection should protect the interests of the learners. More learners now gain more good GCSEs than ever before in Wales. Many more learners go to university than did when I was at school and there are many more vocational pathways in education and training. Attendance rates are improving. The proportion of pupils who are persistently absent from school is declining. The gap in performance between pupils eligible for free school meals and other pupils is narrowing a little in many indicators. The proportion of young people not in education, employment or training (NEET) declined last year. However, evidence from inspections suggest that significant challenges remain. In 2013-14 standards in a few sectors improved (secondary schools) while, in others, they declined (primary schools). The trend of good outcomes in sectors, such as maintained special schools, non-maintained nursery settings and mainstream independent schools continued, but so too did the trend of relatively weak performance in pupil referral units (PRUs). The proportion of secondary schools with excellent or good standards rose to over half. No school required special measures. 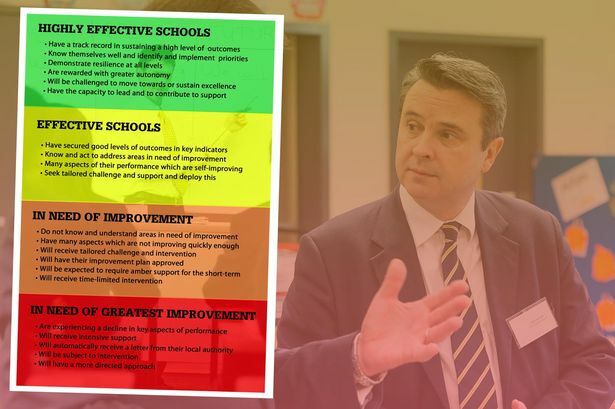 The secondary sector showed improvements in outcomes, wellbeing, skills (especially literacy), teaching and leadership, from a relatively low position in the previous year. There was still a need to improve on mathematics and numeracy, in provision for the more able and talented and in level 2 outcomes at GCSE especially in the L2 inclusive PI (5 GCSEs at A* – C, including language and mathematics). In post-16 education and training standards were generally good or adequate. However, education is not just about standards but also about the wellbeing of learners. The wellbeing of pupils is often good in nursery settings, primary, special and secondary schools. Most behave well, focus on their work and co-operate with teachers, support staff and other pupils. Over the last five years, there have been some improvements in literacy and numeracy but the pace of improvement is relatively modest and it needs to accelerate. Literacy skills are stronger than those in numeracy. If outcomes are to improve in Wales, we have to improve the quality of teaching by building the capacity of teachers. Whilst Wales has had some success in boosting performance through accountability by improving data collection, analysis, benchmarking and challenge – a concomitant need is to continue to engage with teachers to address improvements to the curriculum, to pedagogy and assessment, (as the Donaldson report indicates). Progammes to support teachers to take on board new initiatives over recent years include the National Support Progamme for Literacy and Numeracy. There have been other initiatives too, including those for school-to-school support, which have helped to share effective practice in teaching and learning and helped to build the capacity of leaders and managers to improve schools. The quality of leadership is important. Inspection findings show that there is a clear link between the quality of leadership and the quality of outcomes for learners. Where a school requires special measures, or is in need of significant improvement, weak leadership is nearly always a cause for concern. Over recent years, leaders have needed to develop new skills to respond to the challenges they face. They have needed more forensic and analytical skills as the school and post-16 data landscape has broadened and deepened. They have needed more self-evaluation and monitoring skills. And they have had to give more attention to the core business of teaching and learning. The ability of leaders to think beyond their own institutions is a key feature of what will continue to be required to improve education and training in Wales in future, not least if education is to succeed in mitigating the impact of poverty on learners’ achievements. About the author: Ann Keane is the former HM Chief Inspector at Estyn, a post she held for five years before retiring in 2015. She was responsible for the inspection and regulation of education and training in Wales, as well as the management, staffing and organisation of Estyn. She provided independent advice to the Minister which contributed to the development and review of policy in Wales. Ms Keane also worked closely with the other inspection, audit and regulation bodies in Wales, to underpin joint planning and working. She published five Annual Reports on the standards and quality of education and training in Wales between 2010 and 2015.